Islands are the beautiful places to hangout. These places not only serves as recreation but also generates a positive approach on human body. Islands are the piece of land surrounded by water on all sides. People enjoy in beaches playing with tides and water sport activities. Every countries has its own beautiful beaches. There are few islands in the world which are known to very few. Let’s have a look on some of those hidden islands. Azores is an island in Portugal. Though it is very close to US this Island is unknown to most of Americans. It’s an isolated island in the middle of North Atlantic Ocean. 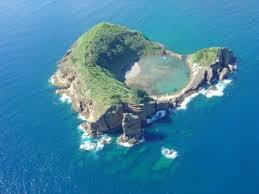 It’s combine of nine volcanic islands. The world came to know the existence of this island when George W. Bush held a summit before Iraq war. These Islands are good for whale watch and lava tubes. 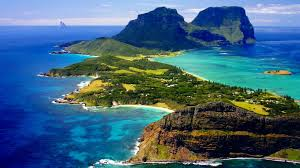 The Lord Howe Island is part of Australia. It’s situated to the eastern coast of New South Wales. There is no cell phone signal available on this island and the way is narrow such only you can reach by boat or by bike. As Australia has the world famous rich coral reef, these islands has a wide variety of species, comprising of 90 species of coral and 500 species of tropical fish. It’s a part of UNESCO World heritage Site, so 75% of island is preserved. Mount Gower is with a height of 2900 feet provides the entire view of island. Ibo Island is part of Mozambique in Indian Ocean. It’s still largely undiscovered by modern world. The economy of this island are the unspoiled coral reefs, mangrove lagoons, barracuda and tropical fish. Quirimbas National park is built on this island to preserve elephants, lions, leopards, crocodile and even wild dog. 375 different species of fishes are being preserved on this island, including threatened pipefish and seahorse. 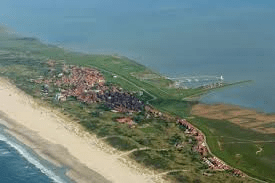 Juist is part of East Frisian Islands which is part of Germany. Germany rarely comes into mind when talking about islands and this one is special one and not many know about this island. This is a narrow island, so mostly referred as “Tower Land” or “Magic Land”. The only way to reach Juist is carriage on foot or by horse. Juist is committed to become carbon neutral by 2030.It’s a nature lover’s paradise and serving as refuge for endangered plant species. Koh Rong is part of string of islands in the Gulf of Thailand. This is the second largest island of Cambodia which habitats for 4 small villages. This island have clear waters ideal for diving. Though being the second largest island in Cambodia it’s merely developed. Koh Rong is likely get noticed in coming years. Its 15 miles from Sihanoukville. This island is accessible by two hour ferry ride from Sihanoukville.